I've tried countless resolution settings and they've all given me the black vertical lines. If it matters, this game supports widescreen. 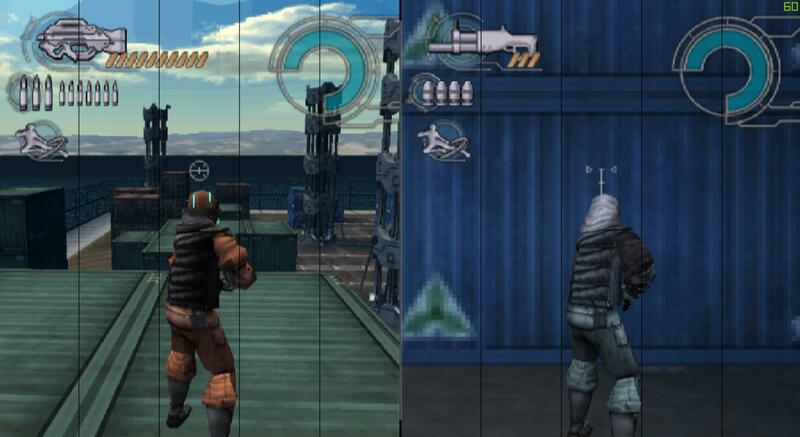 I see that native fixes the black lines, but I'd like to upscale the resolution (otherwise I'd just play it on my PS2 anyway). How can I resolve the black lines? OpenGL (Hardware) still gives the black lines. No luck, same issue on v1.3.1-20150928094130 with "align sprite" checked. Tried 1920x1080 and 1200x1200. I tried setting to 3x, but it doesn't give me widescreen (the game has widescreen). I'm not positive but i think you have to use scaling, not custom resolution for align sprite to work. have you tried that? The internal resolution does not necessarily determine the aspect ratio. The aspect ratio is set in the emulation settings. If you set it to widescreen you will always get widescreen independent on resolution.